ECF (Episcopal Church Foundation) is a great resource for Trinity as we explore what it means to be a church that shares its gifts. Each month a series of Vital Practices offers wisdom and challenge to us who follow Jesus. I invite you to check it out. Here is a sampling of a recent post. 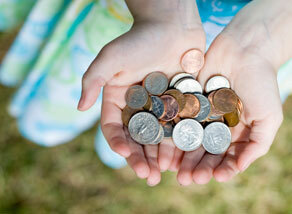 When you think about stewardship, do you associate it with giving or with sharing? To me, giving suggests a transaction, a handing off, while sharing implies relationship, a connection. God invites us into relationship – with God and with each other – and encourages us to open our eyes and to see what God is showing, telling, and teaching us.